3.Use of logo is not mandatory but it helps to spread the word if you can post it..
On Saturday a group of like minded food and lifestyle bloggers got together for a fab evening of food and drink at the Inito restaurant in Liverpool Street London , We were invited there by Nitin Dattani who is co founder of the place. 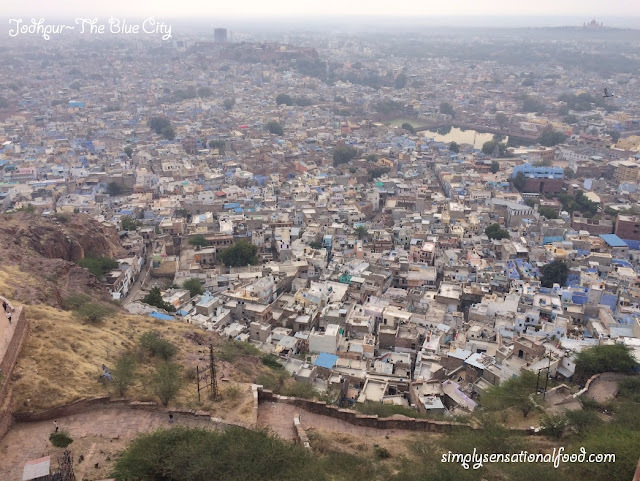 Visiting Inito was like a culinary journey through the streets of India. 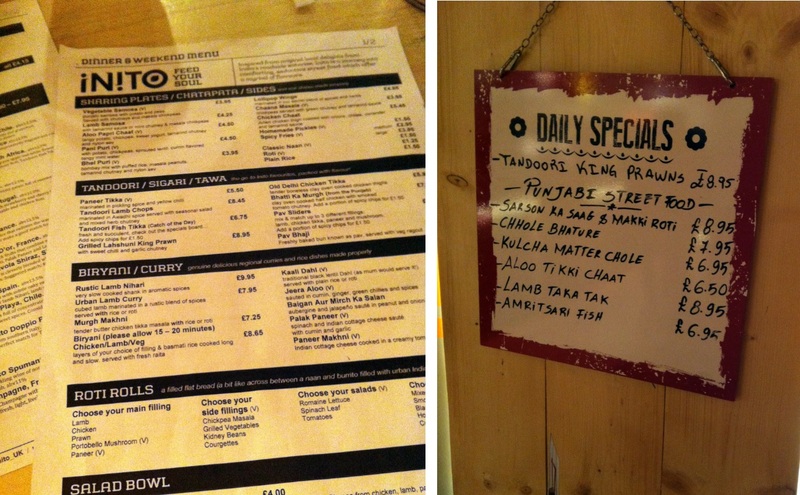 The restaurant has been decorated with a "no frills" deco portraying an urban setting of an India dabba. Rustic wooden tables with benches and cushions, metal signs and corrugated iron and crates were tastefully placed to create an ambiance to give you a wonderful street food experience. On arrival we were greeted and seated at our table by Bruce who is the brainchild of this amazing restaurant from the planning, setting the place up and for the amazing decor of the place. 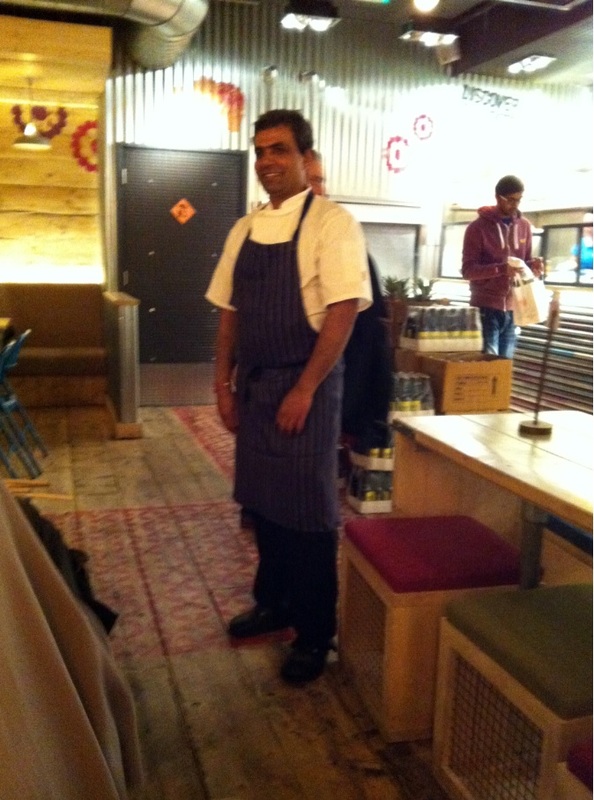 The menu has been created by Chef Saurav Nath, who has worked in Michelin star restaurants such as Benares and Gymkhana. We were told that we would be provided with a sampling menu, little were we to know that the evening was going to be a culinary marathon of amazing mouth watering dish after dish. 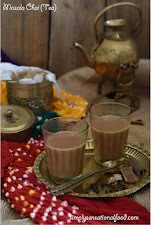 As we awaited for everyone to arrive, we enjoyed refreshing salted and mango lassi's and as all food bloggers do, we started clicking photos of the place. Inito caters really well for vegetarians which made me very happy. 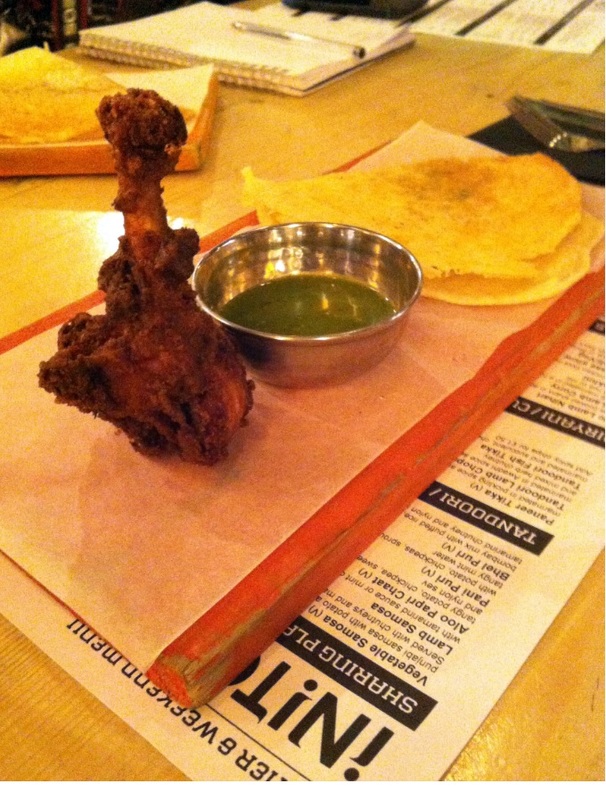 Soon our starters of Aloo chat, Masala dosa and Chicken lollipos arrived. The dosa were impressively crisp and the potato filling was delicately spiced and delicious. Chef Saurav was very kind and even shared his secret with me for the ultimate dosa batter and furthermore gave me a tubful to take home too. The vegetarians were also served Aloo Tikki chaat, a spiced potato cake served with tamarind chutney, green coriander chutney and yoghurt chutney garnished with nylon sev.This was absolutely delicious and I could have stopped at a plateful of this only. We next ventured onto a traditional street food Pani Puri which is served on every street corner in Mumbai. 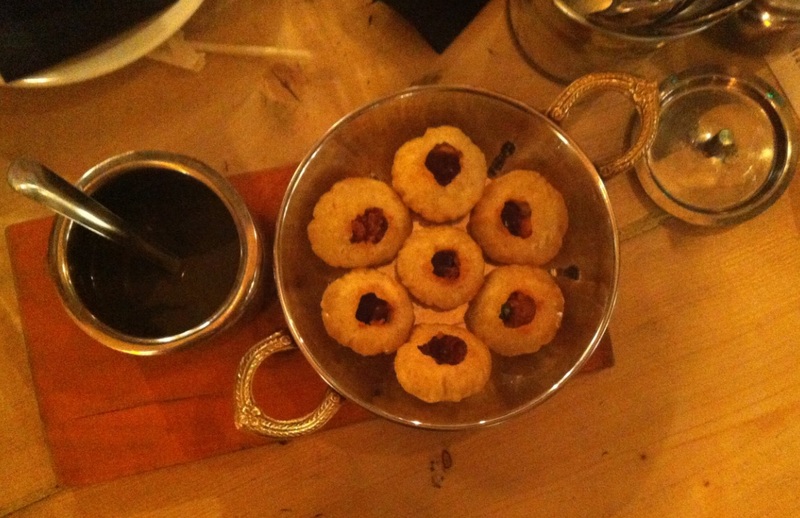 Small crispy puffed puris filled with a chickpea and potato filling and drenched with a spicy mint pani. In Mumbai it is commonly known for people to compete with each other who can consume more than 25-30 of this puffy snacks in one sitting!! !As each puri is popped into your mouth the street vendor makes you a new one, how he keeps account of how many you have eaten is a science of its own!!! 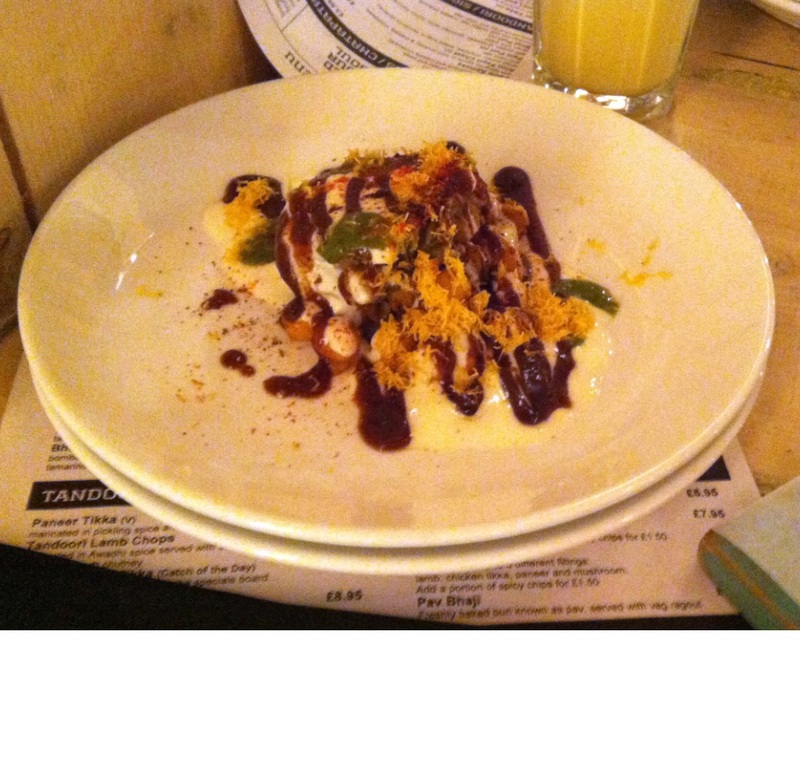 Next course was Aloo papri chaat , a tangy potato and chickpea dish chaat served with lashings of tamarind and yoghurt chutney and garnished with crispy nylon sev a fried chickpea savory noodles. We also sampled Bhel Puri another famous Indian street food made from puffed rice, masala peanuts, tamarind chutney and nylon sev. I found this a little spicy with slices of green chillies in it and had to gulp almost three cups glasses of water much to the surprise of my European friends!! Already having devoured so much food , there was more to come yet as we were served Roti wraps, these were traditional Indian rotis filled with various different fillings. For the vegetarians there was the paneer wraps filled with delicious spicy paneer, spinach, kidney beans, tomatoes and lettuce drenched with a spicy sauce. 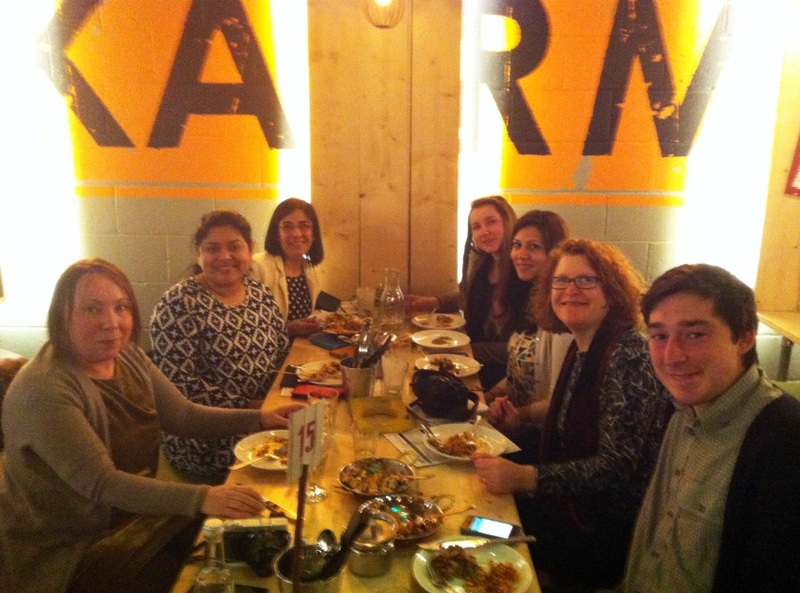 The non vegetarians enjoyed a selection of prawn, chicken and lamb roti wraps.The Roti wraps were served with a platter of sauces. 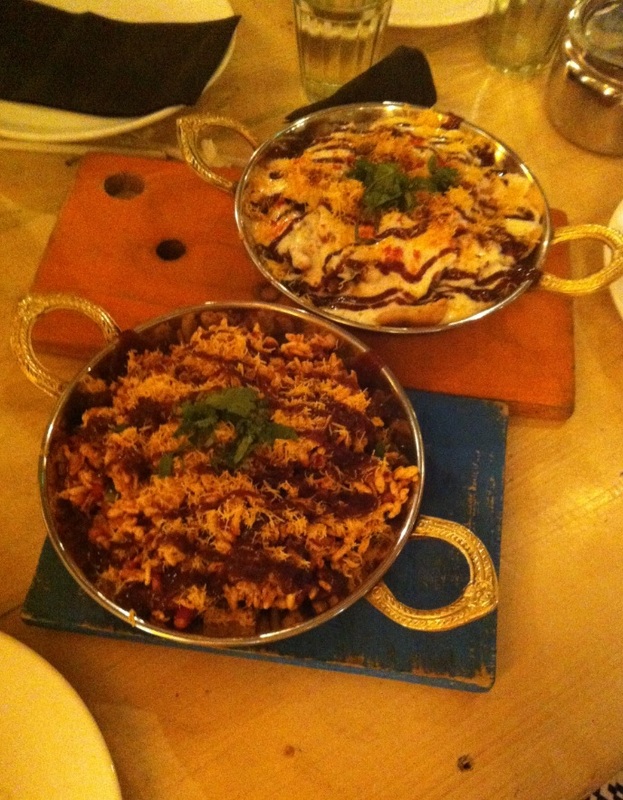 At this point our stomachs were really feeling the tightness, but Chef Saurav was insistent that there was more to come. 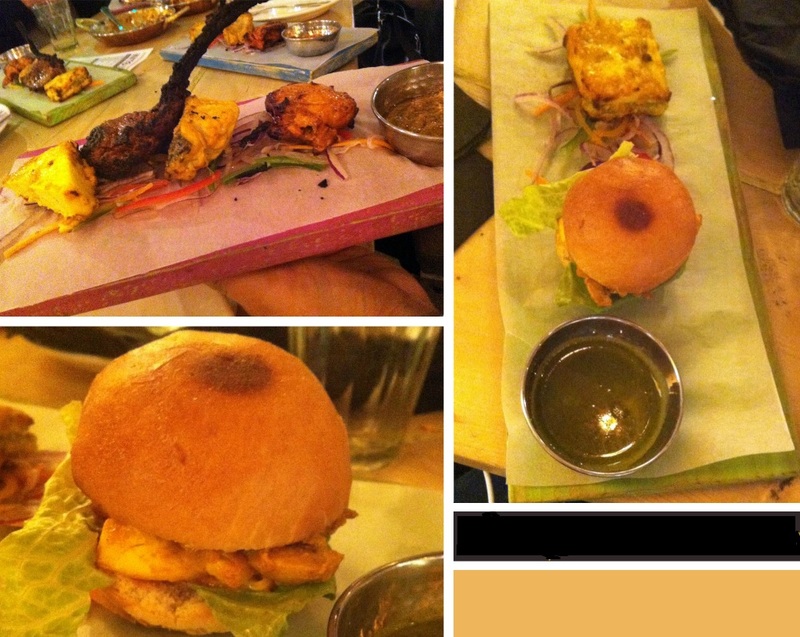 After a short break we were served succulent Paneer tikka and amazing Pav bhaji a freshly baked bun served with a vegetable ragout and garnished with delicately sliced onion salad.The non vegetarians enjoyed a patter of tandoori lamb, tandoori fish, garlicky prawns and chicken called Pav sliders. With all these amazing food and flavors out taste buds were on fire. Never have I had such an amazing fusion of taste.The hospitality and service we received at Inito was superb and even when we said no more food now, Chef Saurav persuaded us to try the final main course before moving onto desserts!! The vegetarins were served Palak Paneer a wonderful spinach and cheese dish sauteed with cumin and garlic and Baigan aur mirch ka salan, aubergine and jalepeno sauteed in a peanut and onion sauce served with the most amazing vegetable biryani. I just wish I had had more room in my bursting stomach to eat the whole portion.The non vegetarians enjoyed Murgh Makhni a chicken dish cooked in a creamy tomato sauce and a lamb curry.The biryani was exquisite cooked in the traditional way in the oven with a dough covering to keep it succulent and moist making each grain of rice separate. 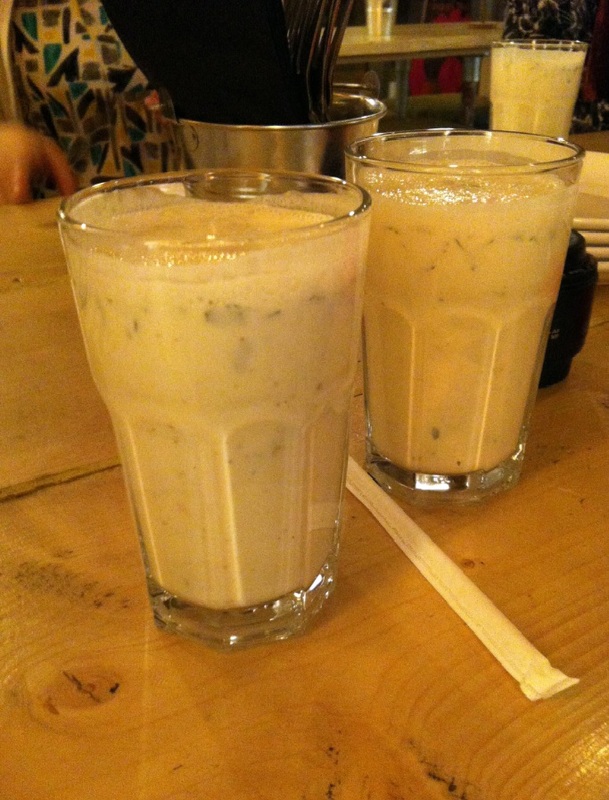 It was served with a lovely cooling yoghurt raita. At this point we were all on serious food overload, and the mention of dessert had us almost wising we had left room for it. However as Indian hospitality goes, the host will will not let you leave without feeling you have done justice to every dish so along came the desserts not 1 not 2 but 4 different desserts. First came the Auguri Rasamalai, delicate cheese balls in a sweetened milk sauce, garnished with pistachios followed by warm Gulab Jamun a fried round doughnut type ball soaked in a cardamon sugar syrup.Following this we were presented with a Garam masala chocolate fondant with Horlicks ice cream and a citrus sauce and finally cooling Rose and cardamom kulfi. 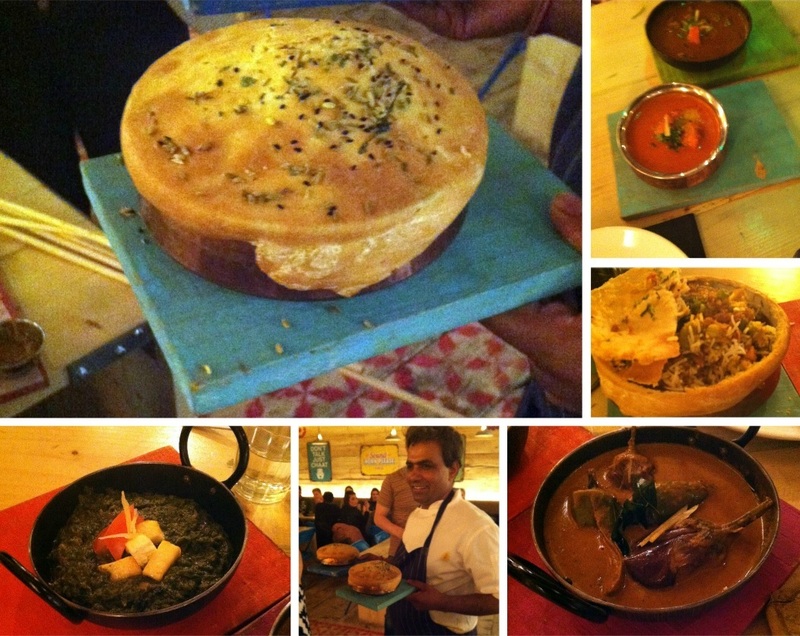 What an awesome gastronomical experience we had. 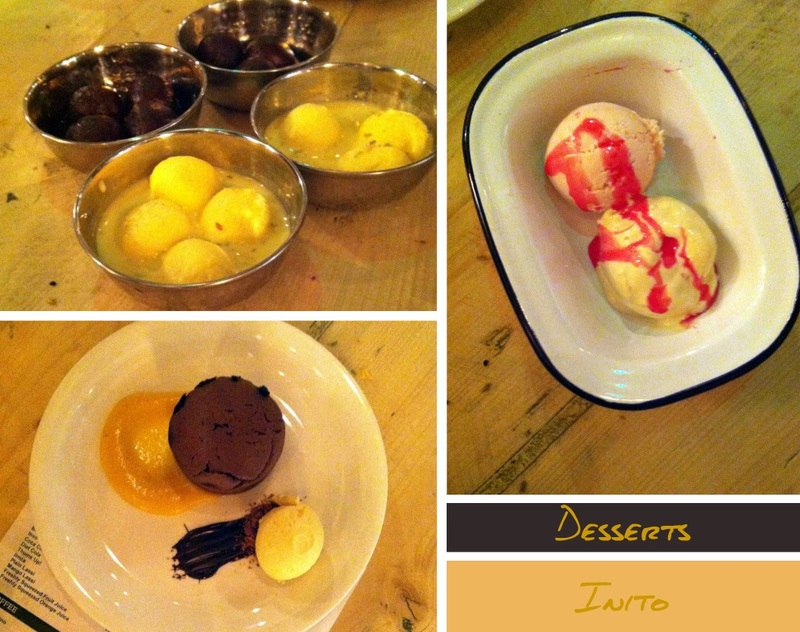 We would all like to thanks Inito for inviting us for this amazing feast. I can't wait to return to Inito again with my family. Next time I will limit my self to 3-4 dishes to give them full justice. 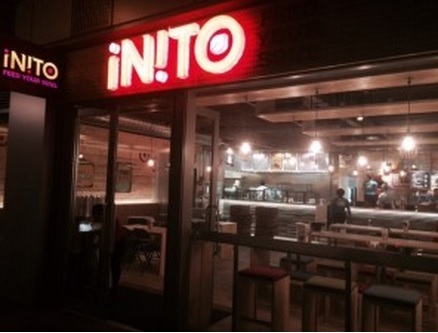 Tel: 0207 2477145I was invited to Inito for a meal, all views opinions and thoughts are of my personal experience. I was not asked to write a positive review. Delectable cheesecake flavours in a delicious soft muffins. 1. Preheat oven to 180 degrees C and line a muffin pan with muffin cases.2. To make the cheesecake mixture, beat the cheese, 25 g flour, 50 g sugar, 1 egg and the vanilla extract. Mix together and keep aside.3.For the chocolate mixture, break the chocolate and place them into a heat proof bowl, add the butter and place the bowl over a pan of simmering water to melt the chocolate.Add the sugar and mix well. Remove the bowl from the heat and leave to cool.4.Sift the remaining flour and bicarbonate of soda on top of the melted chocolate in the bowl and add the egg and the buttermilk and mix well.5. Fill the muffin cases with alternate spoonfuls of the chocolate mixture , followed by the white cheesecake mixture. Using a cocktail stick swirl the mixture slightly.6. Bake the muffins in the preheated oven and bake for 25 minutes, or until a skewer comes out clean. Once baked remove the muffins from the oven and transfer to a wire rack to cool. 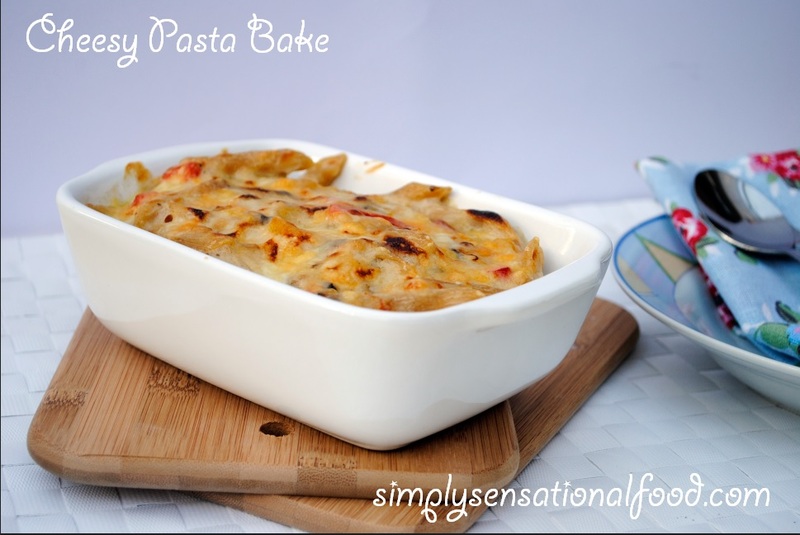 This post is in collaboration with Dr.Oetker, who want to inspire bakers to bake and to create recipes with their chocolate range. 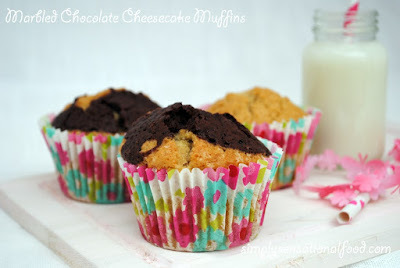 I have chosen this Marbled Cheesecake muffin recipe which is from their selection of Chocolate recipes. 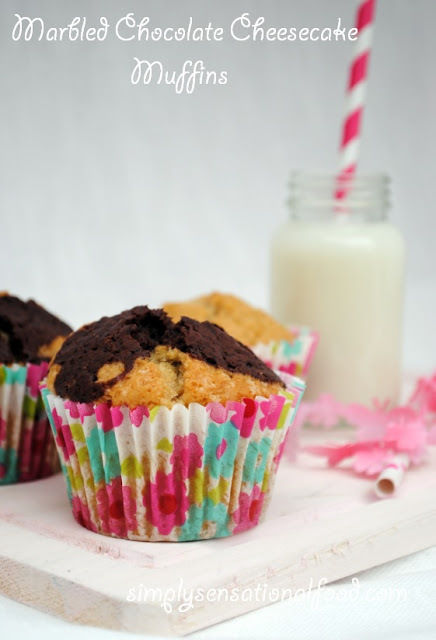 I have chosen this recipe over others as my family love both cheesecake and muffins and when I saw the recipe there was no better way to combine the two than in this delicious marbled chocolate cheesecake muffins. Dr.Oetker are also inspiring everyone to get baking and enter their competition via twitter. Dr. Oetker is encouraging bakers to celebrate chocolate by making a yummy chocolate bake. Dr. Oetker believes that chocolate tastes even better when you share it, so they want to know who you’ll be sharing your chocolate bake with. 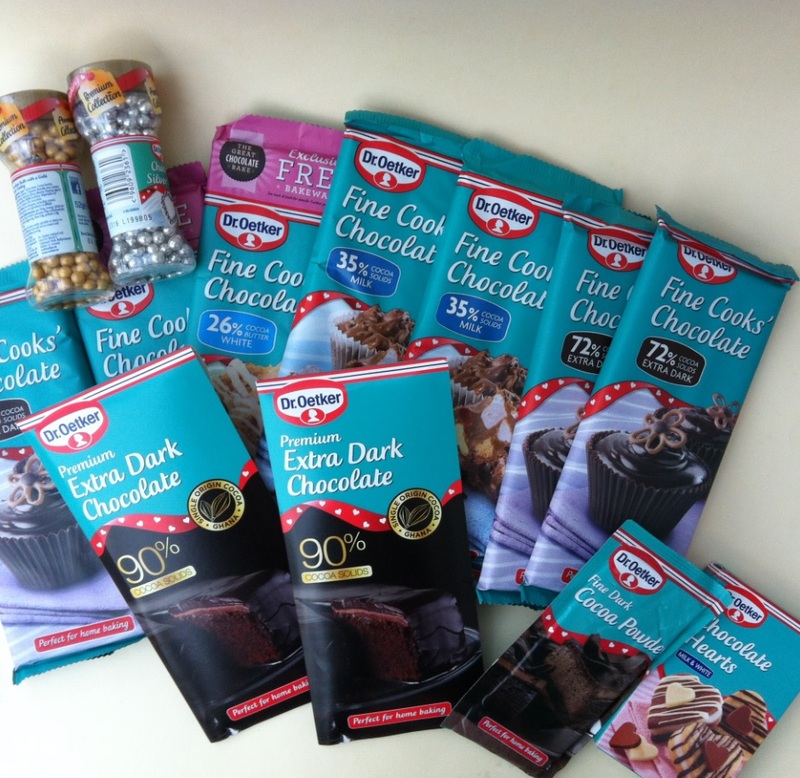 I was sent a selection of Dr.Oetker chocolate products to create my chocolate recipe. A delicious vegetable soup made with courgettes, mushrooms and potato with baby soup pasta. 1. In a saucepan add the oil and saute the onions until they turn pink, add the diced courgettes, diced potato, diced mushrooms and saute the mixture for 3-4 minutes.2. 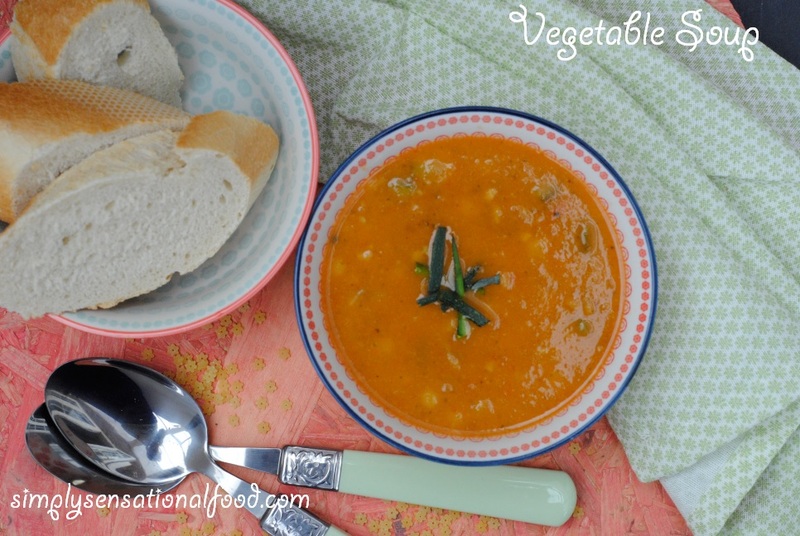 Add the water and the tomatoes and simmer the soup for 7-8 minutes until the vegetables are cooked. 3. Transfer half the soup to a blender jug and blend it to a smooth consistency.4.To the remaining soup in the pan add the pasta and simmer the soup for another 5 minutes.5. Transfer the blended soup to the pan with the rest of the soup and season the soup with salt and pepper. Turn off heat and serve the soup hot. This calorie count does not include the bread. 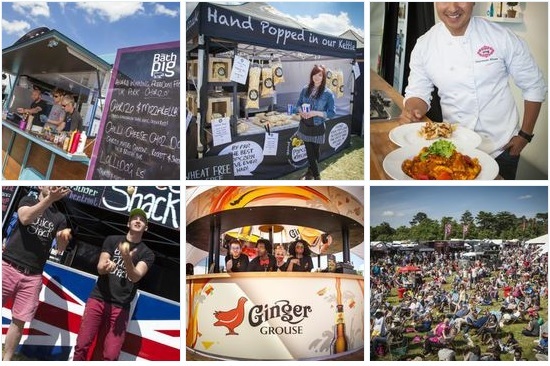 Foodies Festival, the UK’s biggest celebration of food and drink, will transform Syon Park into a foodie heaven 23,24,25th May as part of their 10th anniversary celebrations with celebrity chefs, new tasting theatres and more street food. *VIP tickets include a welcome glass of bubbly, access to the VIP tent with private bar and refreshments throughout the day, priority entry to food and drink masterclasses, a goody bag and a showguide. Foodies Festival have kindly given simplyfood three pairs of ticketsto give away to three lucky winners. I was recently sent a selection of Walkers Sunbites snack range to sample. 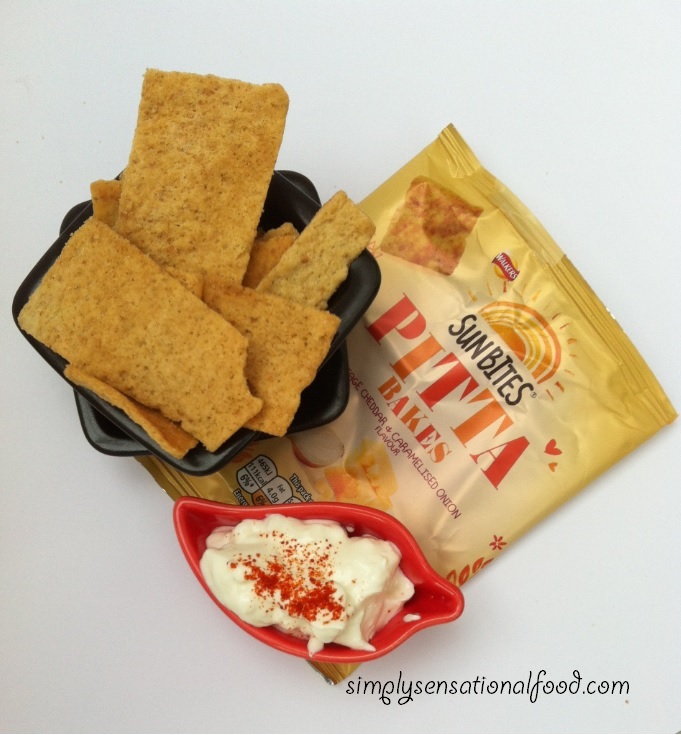 In the Sunbites range avilable are crispy crackers, pitta bakes, crackers and dip and crispy snacks. 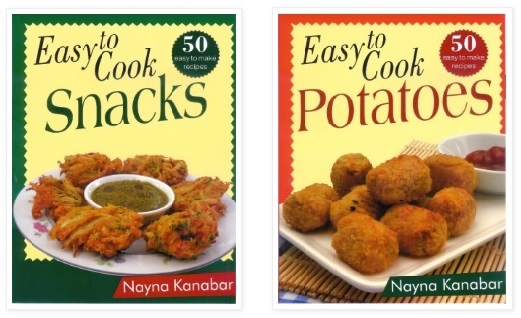 These bitesize snacks are simply delicious for nibbling on, perfect for lunch boxes or for that savory treat as they are 30 % less fat than ordinary crisps.They areavailable in most major supermarkets. 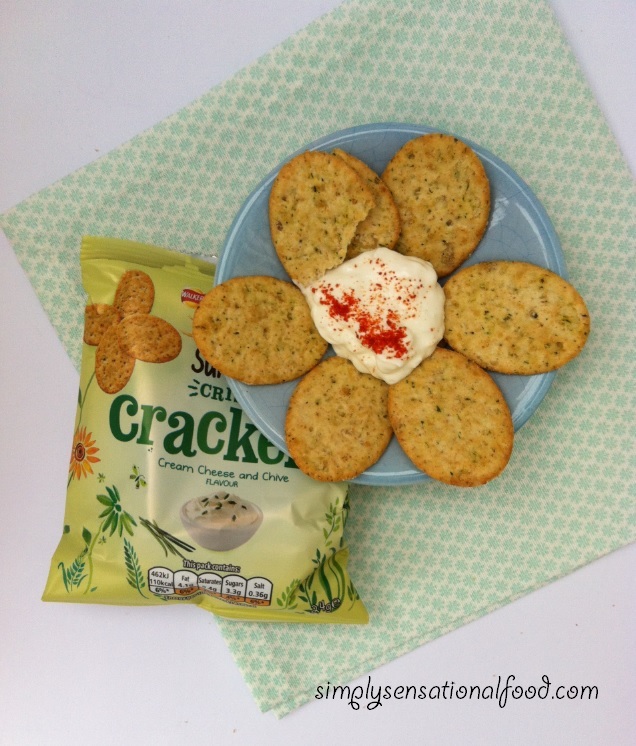 The crackers are available in cream cheese and chive, oven roasted onion, lightly salted and rosemary and sunripe sweet chilli flavour. 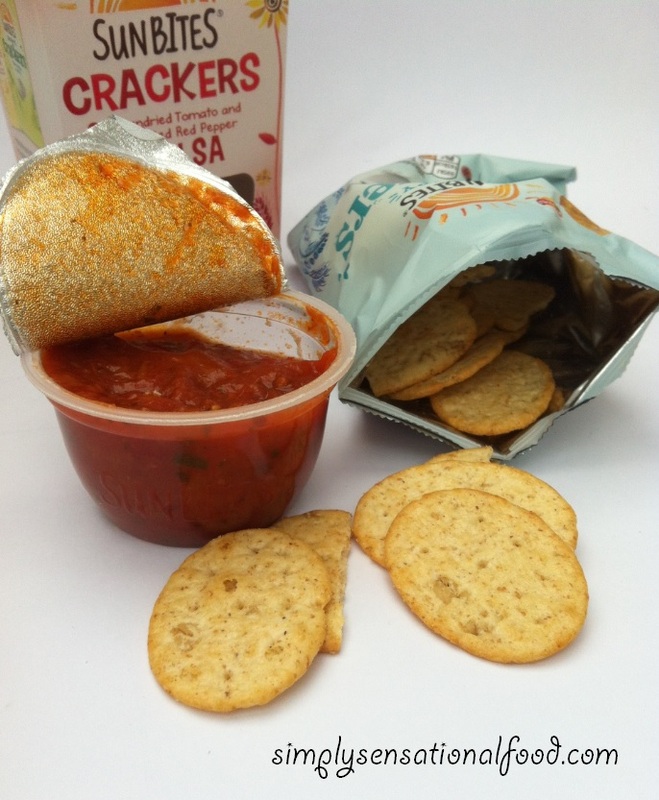 The oven roasted onion and rosemary crackers also come in individual packs with a pot of caremelised red onion chutney and sunripe sweet chilli flavour crackers come with roasted red pepper salsa. I was sent a bag of cream cheese and chive crackers and an individual pack of red pepper salsa and crackers. We really enjoyed the salta , it was delicicious with the crackers and had a lovely spicy kick. The cream and chive crackers again were delicious, but we We did find that many of the crackers in the bag were broken so dipping them in the salsa to devour was a little difficult.I think this is due to the fact that they are very light and airy and despite good packaging they tended to break easily. 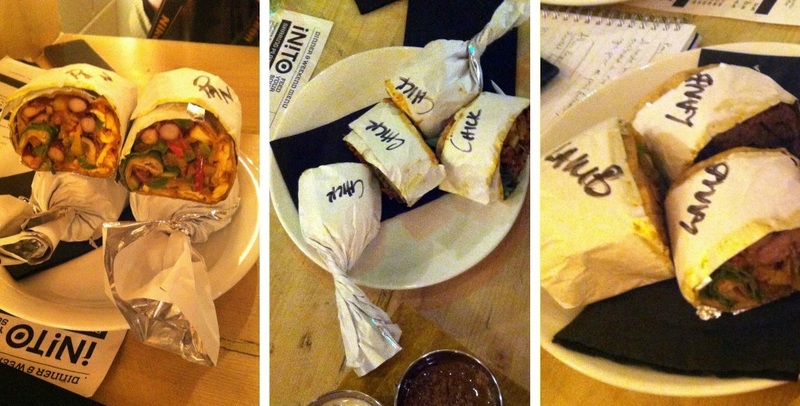 The Sunbites pitta bakes which come in 3 flavours Vintage cheddar and caremelised onion, roasted red pepper nad chilli flavour and oven roasted rosemary and onion flavour. I was sent the Vintage cheddar and caremelised onion pitta bites which were moreish and delicious with perfectly balanced flavours. However the contents of the bag was very little and a lot of the pitta bites were broken. This did not deter us from enjoying them as I sprinkled the crumbs on top of asald to give it an added crunch. 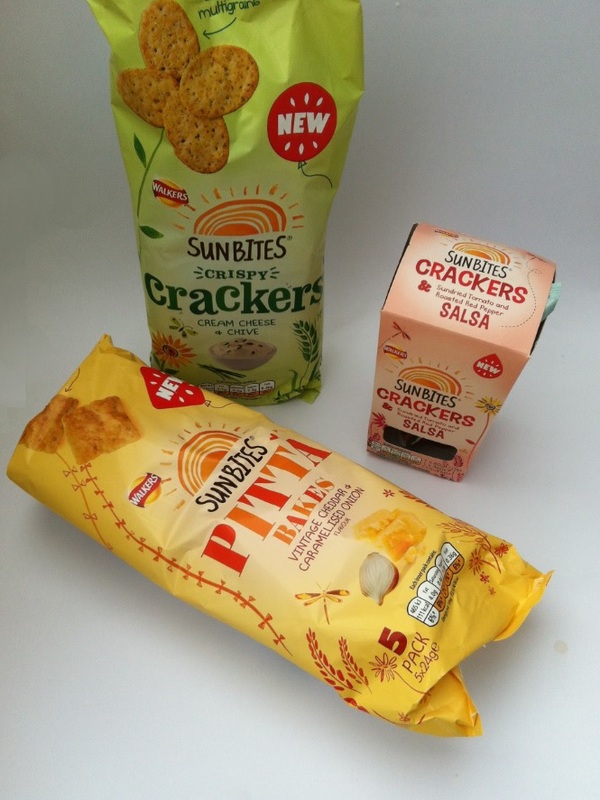 We enjoyed the sunbite snacks very much and look forward to trying all the other flavours that are available in the range. We were sent these snacks to sample by Walkers, all the views and opinions in the post are true and unbiased. 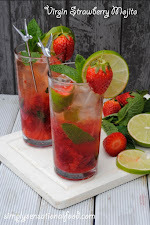 This is my assignment with the Secret Recipe Club.The aim of the club is that you are allocated a blog from which you have to select a recipe and try it and blog about it. For the month of March my assigned blog was The Heritage Cook written by Jane Bonacci. 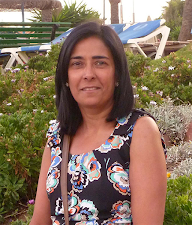 Jane describes herself as food and travel writer, recipe developer, editor and tester, event manager, passionate baker and cook. Looking through Janes blog, there were many delicious recipes, I liked that her focus is also on gluten free recipes. I settled for breakfast idea. 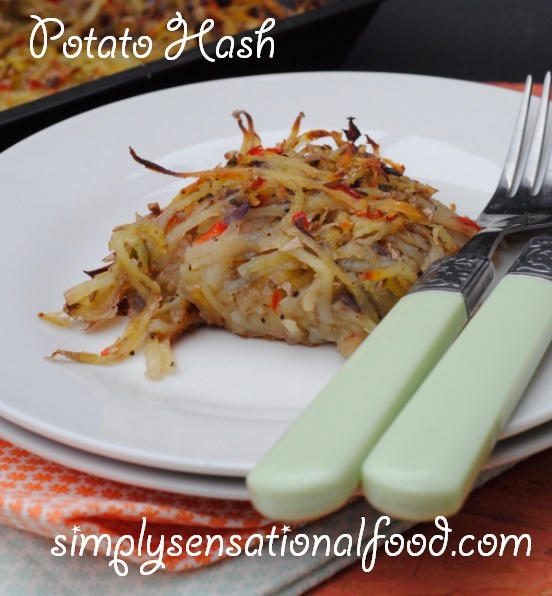 I chose the Turkey Hash as my family love Sunday Brunch and this was perfect for it. I did make slight changes to the recipe to make it vegetarian. I omitted the turkey and added some mushrooms instead. 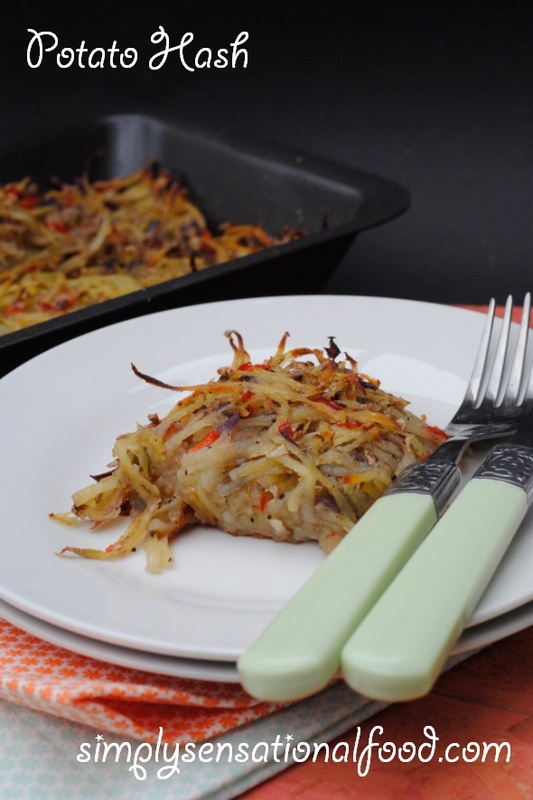 Delicious and tasty potatoes cooked with onion, peppers and mushrooms for the perfect breakfast accompaniment. 1.Preheat oven to 180 degrees C / 350 degrees F.2.Oil a deep baking dish and keep aside. 3.In a large bowl add the potatoes, onions, diced peppers, mushrooms, salt and pepper and the oil and toss every thing together. 4.Transfer the potato mixture to the oiled baking dish and pack the potato filling down with a spatula. 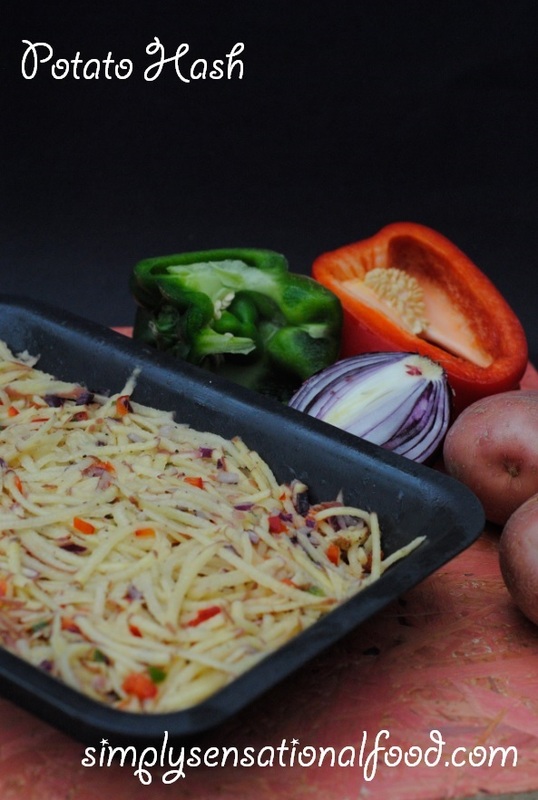 5.Bake in the preheated oven for 20-25 minutes until potatoes are cooked and slightly crispy on the edges. Remove from oven and cut into square slices and serve piping hot with baked beans and fried eggs. Mothersday a day for appreciating and pampering the one person who dedicates her whole life to her child.There is no better way to treat her than to surprise her with a delicious home cooked breakfast to start her day. For mothers day I am making a healthy and delicious smoothie, followed by a strawberry granola pots and a Spanish Frittata. A delicious blend of summer berries and coconut water makes this smoothie refreshing and delicious. 1.Place the fruit in the OXO colander and wash all the fruit.2.Core the apple, leaving the skin on and cut into quarters, hull the strawberries and place into the Optimum 900 blender. 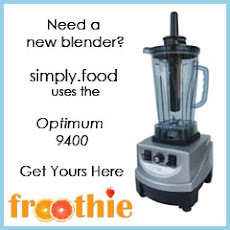 Add the blueberries to the blender and blend together all the fruit for 1 minute. 3.Add the coconut water to the prepared smoothie and stir it in. 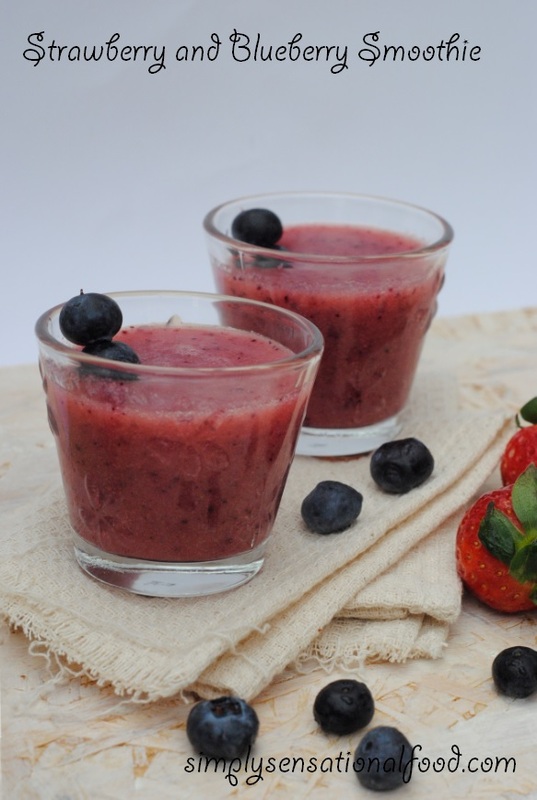 4.Pour the smoothie into chilled glasses and garnish with some blueberries. 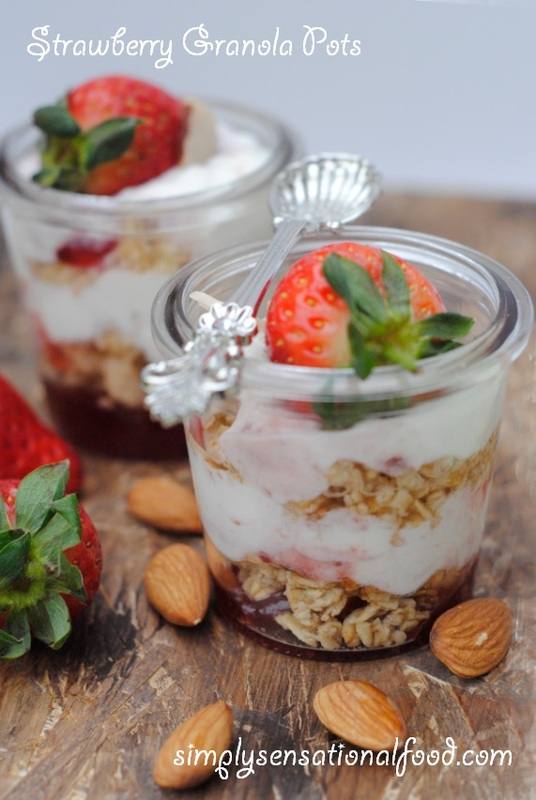 Layers of strawberry compote, Greek yoghurt and honey Granola , topped with fresh strawberries. 1.Remove the stalks from 10 strawberries and chop them into small pieces. Add them with the sugar to a pan and cook for 5 minutes until strawberries start to break down but still hold shape. Remove from the heat and leave to cool.2. Take two glass jars or glasses and add a couple of tablespoons of strawberry compote in the bottom of each jar. Add a tablespoon of granola to each jar on top of the compote.3. In a bowl add the greek yoghurt and fold in the remaining strawberry compote to form a ripple effect.4. Spoon a layer of the yoghurt mixture on top of the granola in the jar.Repeat a layer of compote followed by the granola and finish with the yoghurt.5. Garnish with a whole strawberry.Serve chilled. 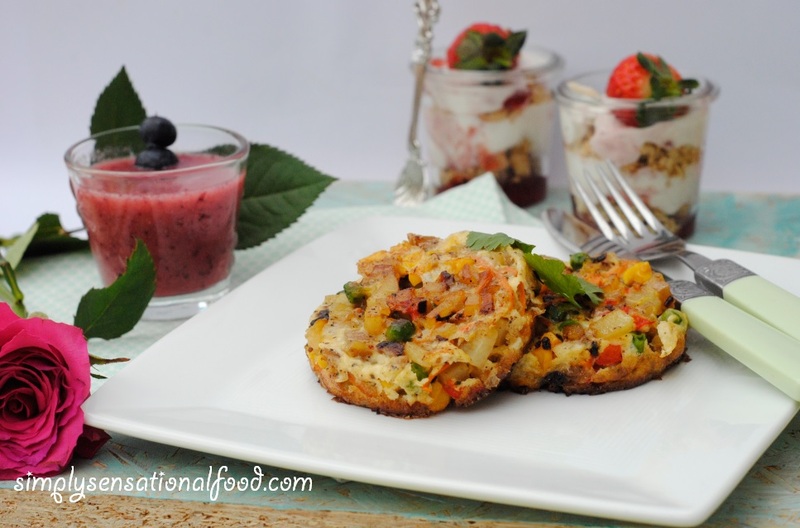 egg dish with vegetables and aspicy kick. 1.Peel and grate the potato using the OXO vegetable grater2.Peel and grate the carrot using the OXO vegetable grater3.Dice the red peppeer finely.4.Dice the red onion finely.5.Break the egg in the Oxo mixing bowl and add to it the salt, pepper and the milk and whisk it together.Keep aside.6.Heat a frying pan and add 1/2 tablespoon of olive oil and fry the onions until pink, add the grated potato, carrot, peppers, sweetcorn, green chilli and stir fry the vegetables for 7-8 minutes until they are cooked.7.In another frying pan add 1/2 tablespoon oil and heat it up. 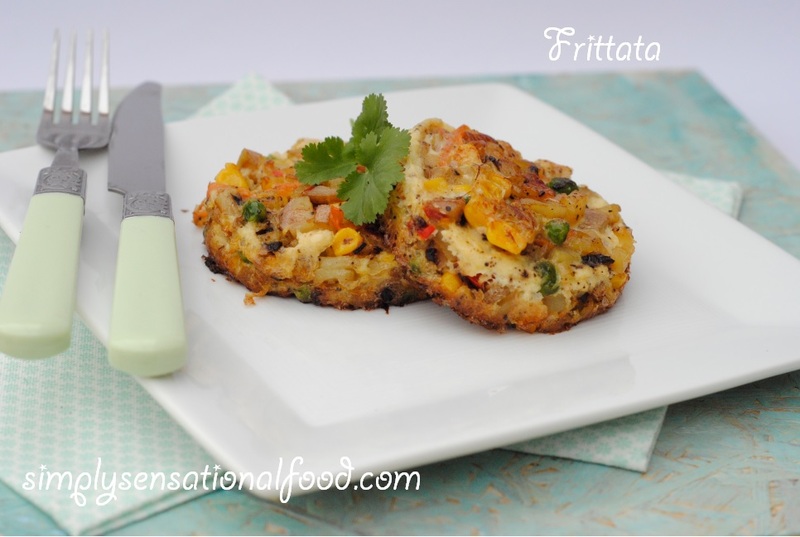 Place two rings in the frying pan and spoon half the vegetable mixture in each of the rings.Pour over the vegetable mixture the egg mixture.8.Turn the heat to low and cover the pan and cook the frittata for 7-8 minutes until egg mixture has set.9. Run a knife around the ring edge and lift off the metal ring.Using a spatula gently lift the frittata onto a serving plate. 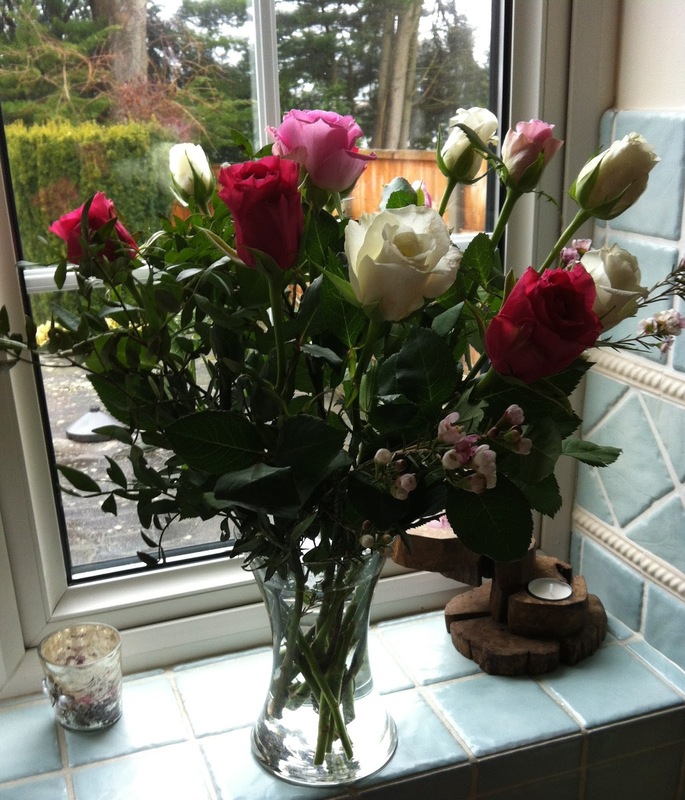 I was able to create my mothersday recipes with the help of some lovely kitchen tools from OXO. I love the magnetic tin opener with a lining up window so you can line up the blade on the tin. it has a good gripping handle and the magnetic catch holds onto the can lid so that it does fall through into the can. The three piece bowl and colander set comes with a lid that fits the bowl for storing food. 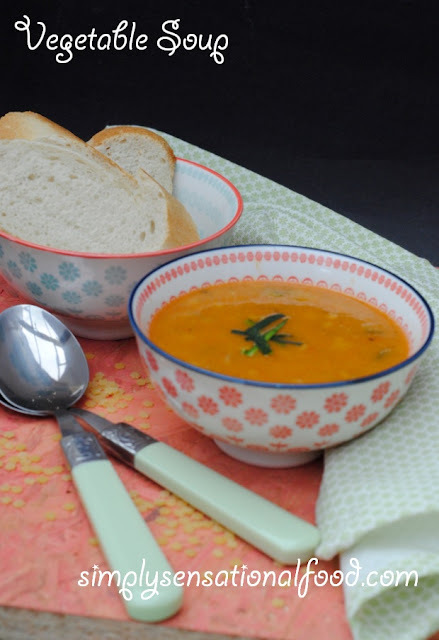 The bowl has non slip surface and its is large enough for cooking for a family of 4. 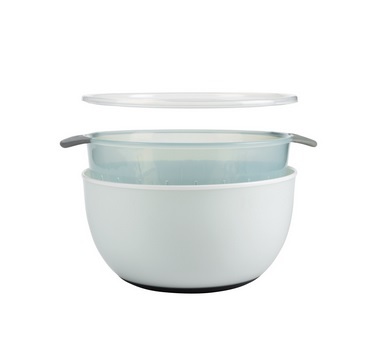 The colander has a lip that allows it to rest in the bowl but lifting it away from the base for easy drainage.The neat lid fits the bowl and all three items are stackable for easy storage. 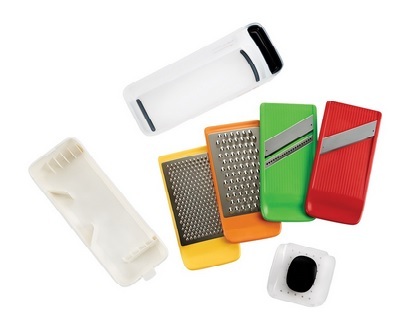 Lastly the grate and slice is a neat little gadget with 4 colour co ordinated grating discs that shreads, grates, slices and juliennes. 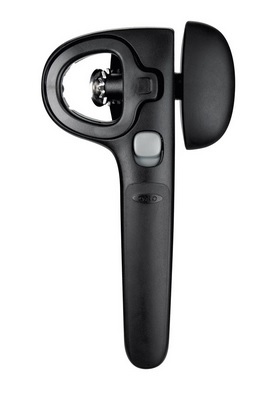 It has a good gripping handle with a storage compartment for storing the different blades for additional safety. I was sent the OXO tools to use in my kitchen to create my recipes.I am sure any mum would love these in her kitchen too. 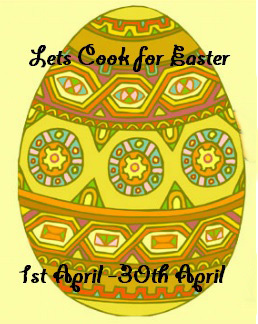 Lets cook for mothersday event by simplyfood. 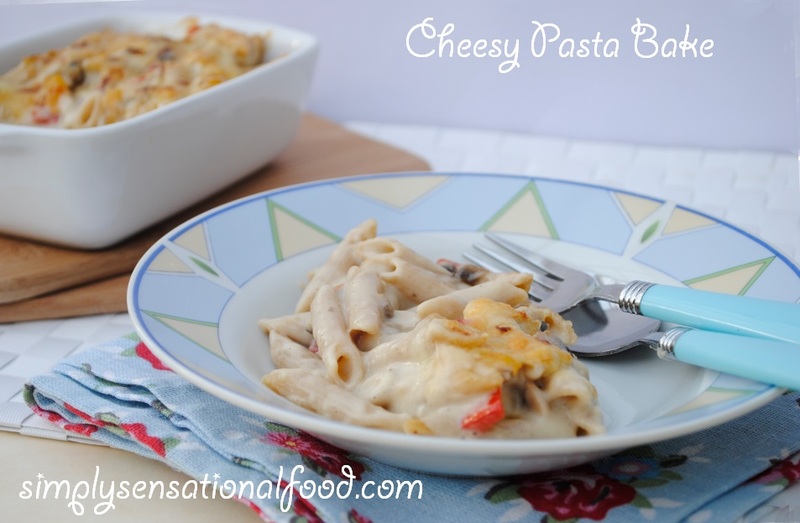 A delicious and comforting pasta dish thats is perfect served with aside salad. 1.In a large pan add the water and 1 teaspoon salt and bring to boil.Once its boiling add the pasta and cook it until its al dente. 2.Drain the pasta and return it to the pan. Add a teaspoon of olive oil to the cooked pasta and toss the pasta to stop it sticking together.3.In another saucepan, add the butter and flour and cook it for a few minutes until the rawness of the flour is gone.4.Add the milk gradually and keep whisking the sauce to ensure all the milk is incorporated into the flour and there are no lumps.5.Once all the milk is added keep whisking until sauce thickens, it should easily coat the back of a spoon.At this stage add half the cheese and whisk it in.Add the nutmeg, salt and pepper and stir it in.6.Take the sauce off the heat and pour the sauce over the cooked pasta and mix it all together.7.Preheat the grill to medium .8.Spoon the saucy pasta into an ovenproof baking dish and sprinkle the remaining cheese over it.Place the pasta dish under the grill and cook until the cheese melts and it starts to bubble and turn golden brown.9.Carefully remove the baked cheesy pasta from the grill. Serve hot with aside salad.